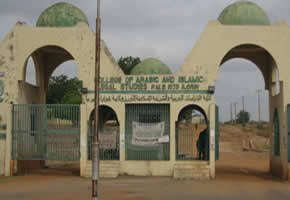 Provost of the College of Arabic and Islamic Legal Studies (CAILS), Ilorin, Dr Musa Abdullahi has appealed to the Kwara state government to ensure the release of the required funds for the accreditation of the courses available in the College. The Provost stated this in Ilorin at the annual Ramadan lecture hosted by the institution. Abdullahi said that though the request for funds for the accreditation of courses had been approved about eight months ago, the government is according to him , however yet to release the money. "The delay in the accreditation of courses has affected the interests of the students negatively, those who have graduated could not collect their certificates while those still in school will definitely face similar problem. The delay has also affected our degree and the diploma programmes and it has stopped us from admitting new students. This has reduced the number of students in the college and if urgent step is not taken, it may lead to the closure of the school that has been in existence for 27 years, but we pray such will not happen’ he said. The Committee of Unions of Tertiary Institutions (CUTI), of the college had last month given the authority a 21 – day ultimatum on the issue of the accreditation of courses, though it was followed by another 14 days ultimatum there was said to be no response from the state government which led to the current 7 days ultimatum for the government to address the matters.